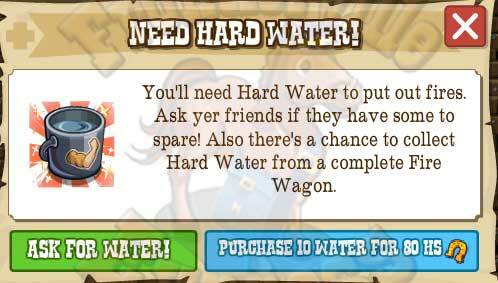 Just having a fire station isn't going to be enough on the homestead, We're going to need a tank to take water to the fires and we're going to need some firemen! 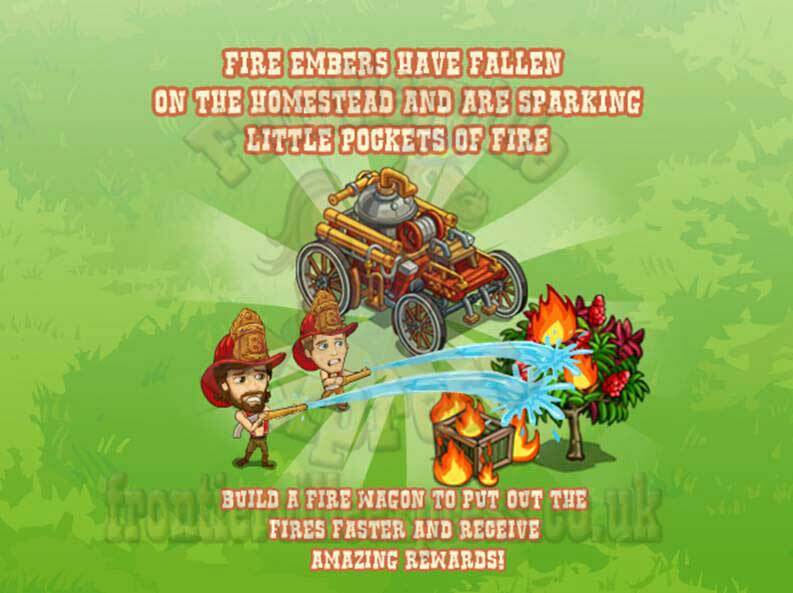 It's time to build up that homestead fire service with some new machinery and two new volunteers, Hank and Ted who keep things going with one of the more humorous storyline setups. That's going to kick off the five mission thread (all details HERE) and the four step build (all details HERE), of a portable fire engine with pumps. The fires are spreading from our Railway Station and we'll now see flash fires popping up over the homestead. They can appear when using Steel or Brass Forges or when clearing debris. 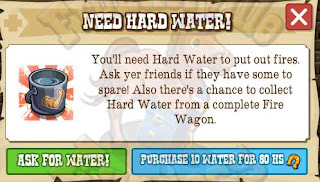 Or, when completed, use the water cannon on the Fire Wagon. 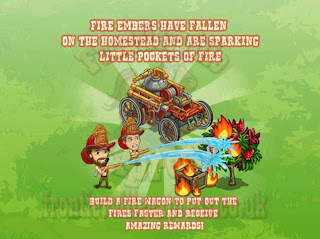 As you complete the missions and the Fire Wagon the chance of the Flash Fires appearing will drop away. 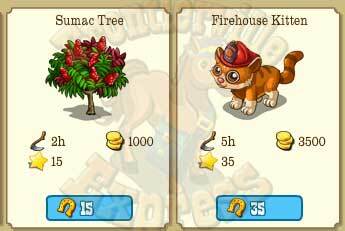 We'll see two new items, one new free gift tree, and one mission reward animal. Both of which will be available for Horseshoes. 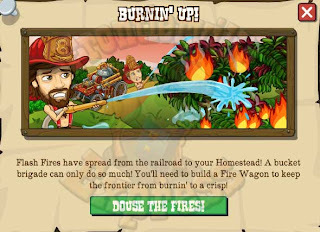 So get your Firefighting boots on and your shirt off, it's time to battle the blaze.